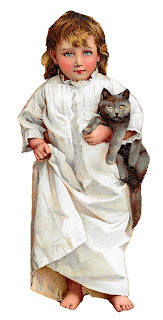 Today I've posted an adorable digital girl clipart of a Victorian child in pajamas holding a gray cat. How cute! 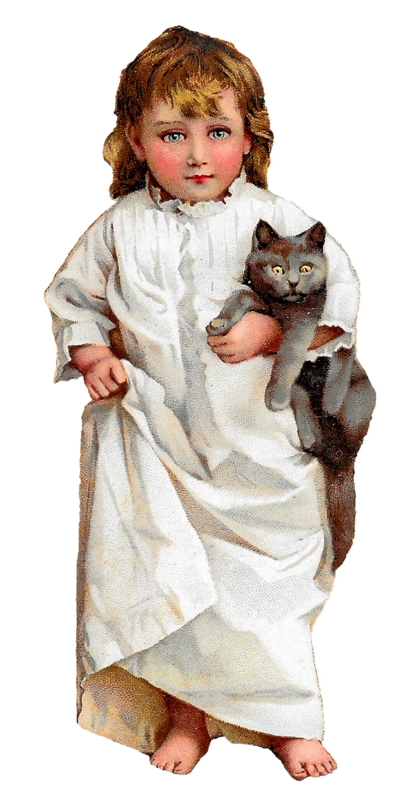 The young girl is taking her pet cat to bed with her. I can imagine the little gray cat snuggling next to the girl as they sleep in her bed. What are the most wonderful aspects of this digital girl clipart are the girl's and the cat's big eyes. I love the girl's big, blue eyes, and I love the cat's big, yellow eyes. So adorable!